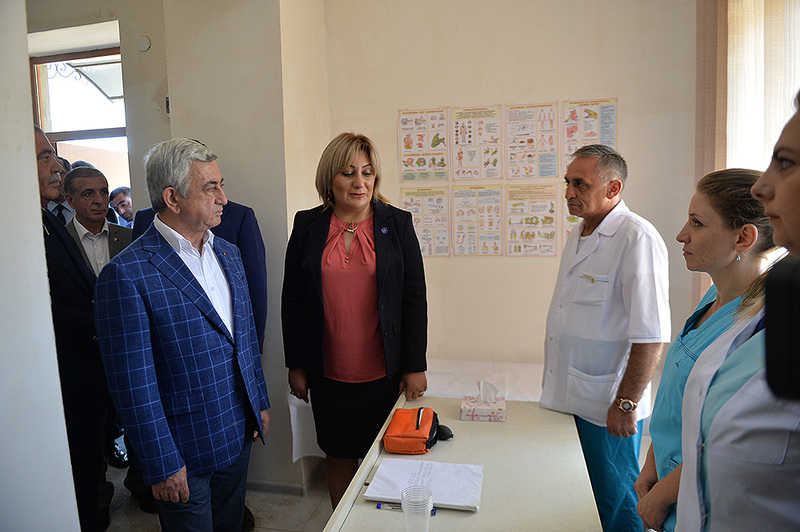 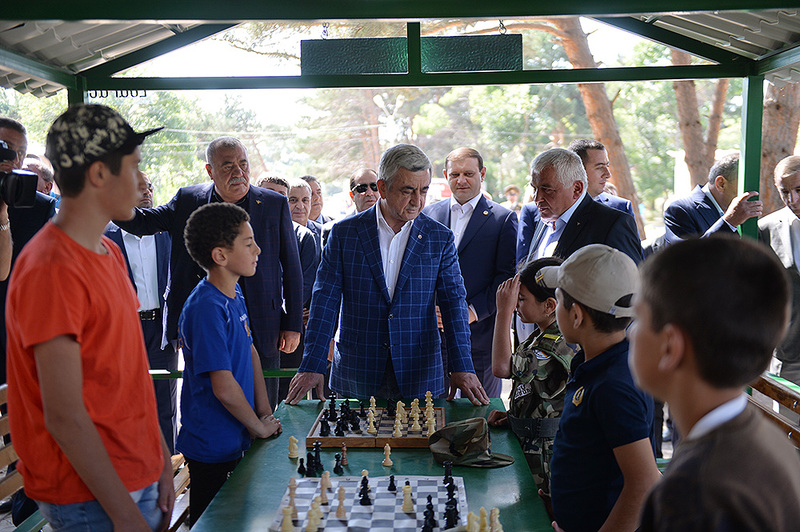 President Serzh Sargsyan visited Young Yerkrapah educational-sports recreational center of Yerkrapah Union of Volunteers in Gegharkunik Marz. 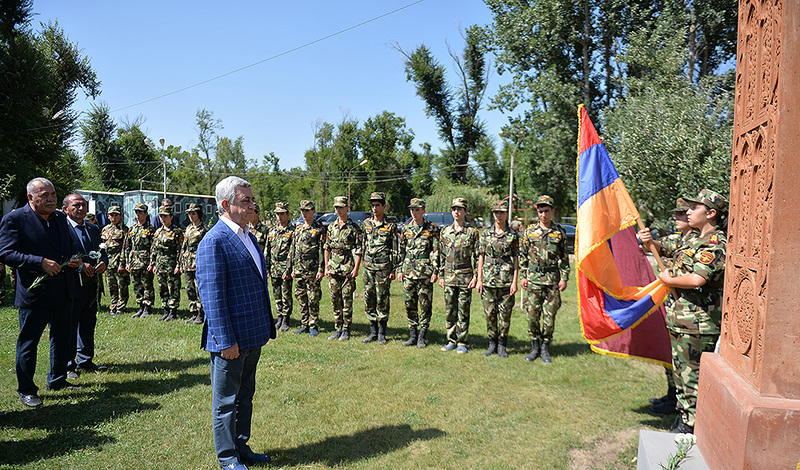 The President congratulated the participants on successful completion of this year’s training and sporting program. 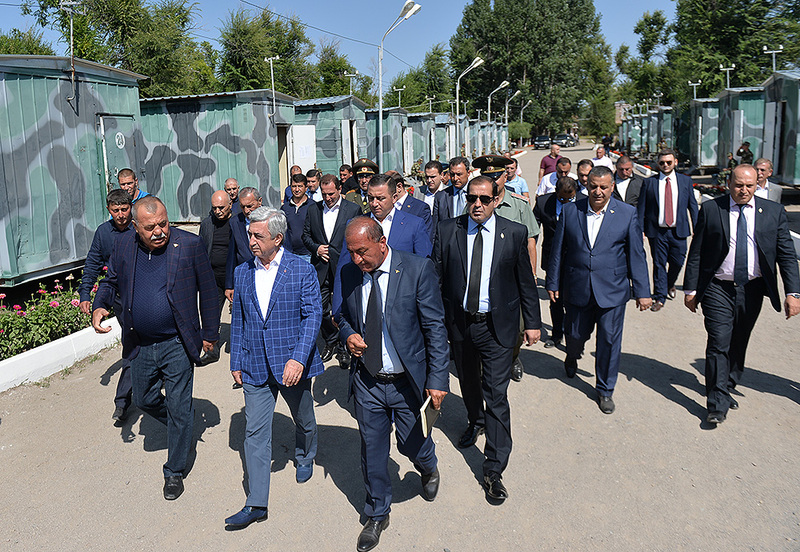 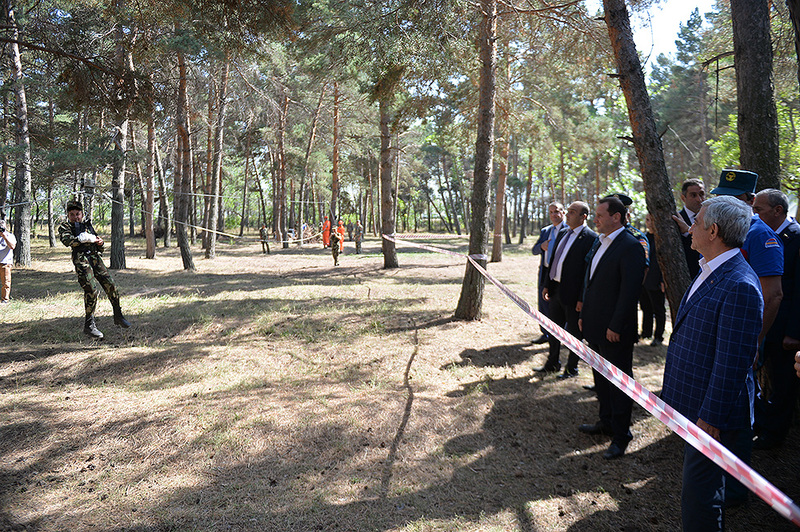 After welcoming speeches delivered by the representatives of different generations of Yerkrapah and the parade of young members of the organization, Serzh Sargsyan inspected the work done in the recreational complex, the daily schedule and attended classes held for different audiences. 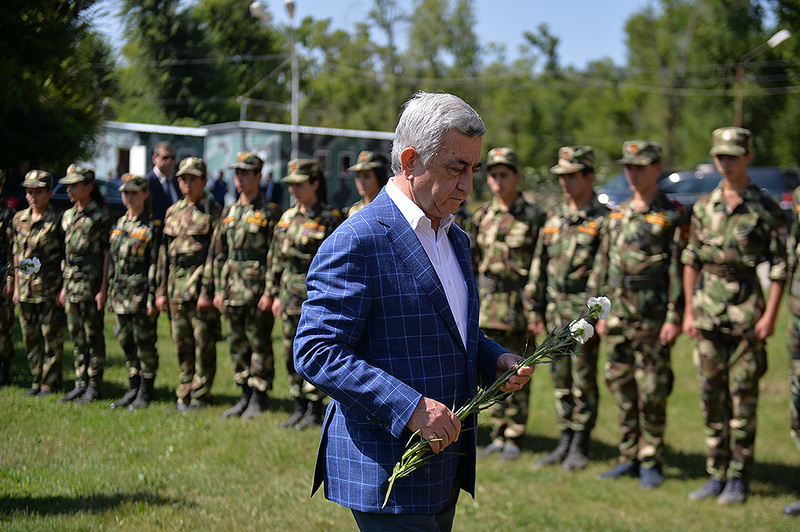 The President of the Republic laid flowers at the khachkar (Stella) commemorating the victims of Mets Yeghern. 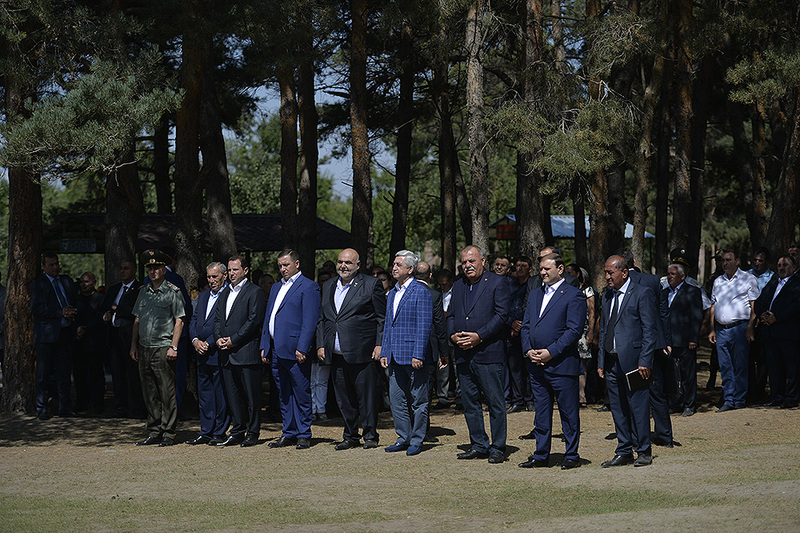 The executives reported to the President that this year the camp hosted three generations of Yerkrapah in 14 shifts, each involving 450 Yerkrapahs: 50 young members and 30 representatives of the older generation, as well as specialists from partner structures and other participants. 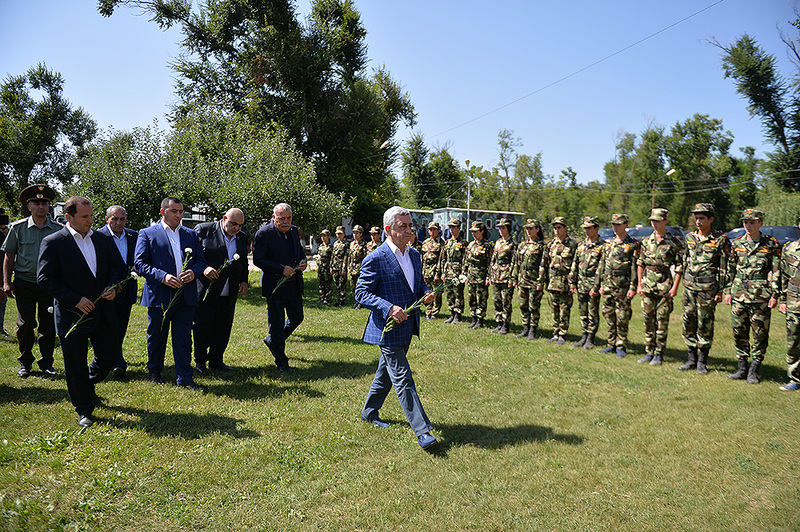 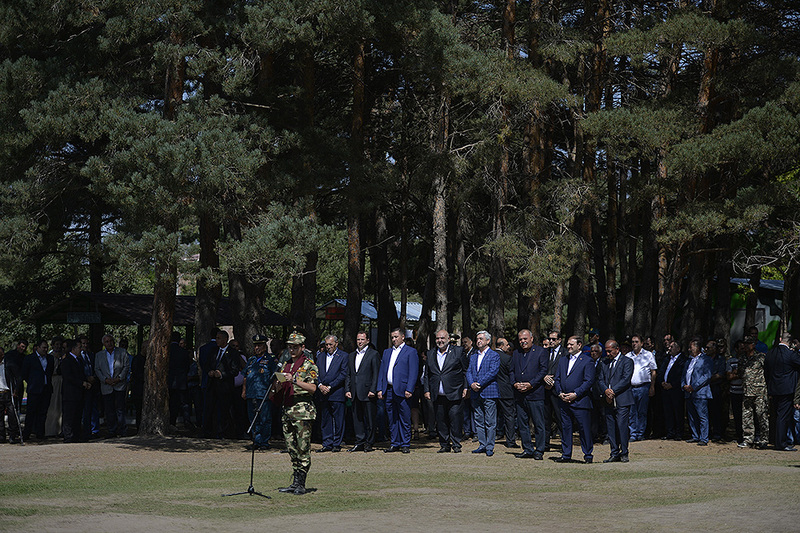 The camp hosted representatives from all administrative districts of Yerevan, all regions of the Republic, administrative districts of Artsakh and the Diaspora. 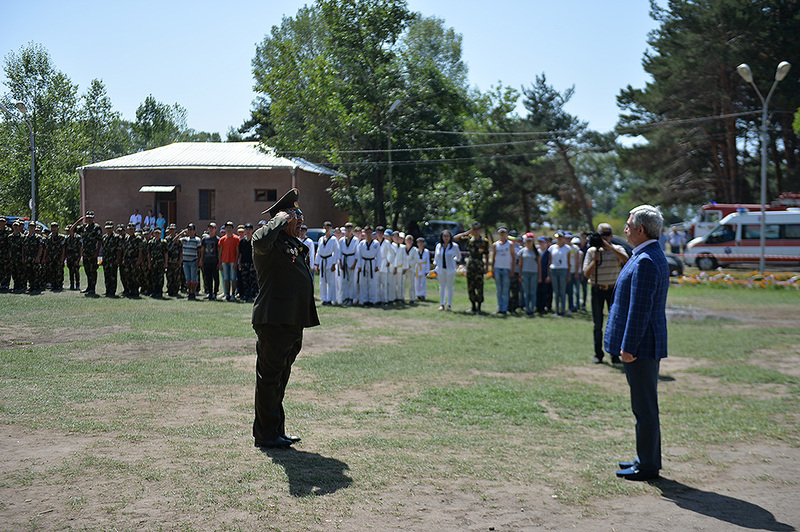 The camp also received children from socially disadvantaged families. 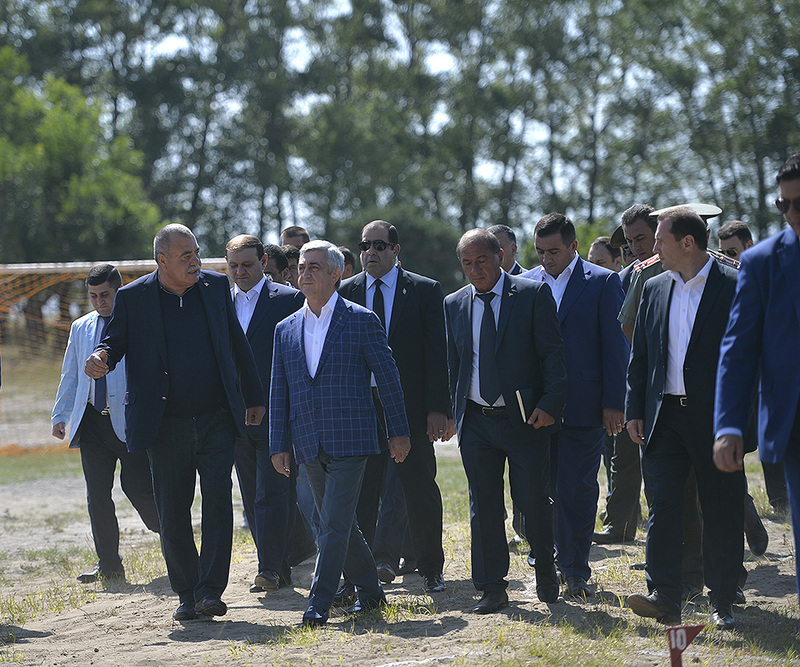 Later today, the President will travel to Kotayk Marz to meet with the participants of the Armenian Youth Foundation-hosted Baze all-Armenian youth assembly in Tsakhkadzor.